Bostonians are full of city pride and value a strong sense of community, which is part of the reason South Boston is such a desirable neighborhood to call home. Active residents, commonly referred to as “Southies,” have transformed the area into a desirable, growing waterfront community with revitalized landmarks, desirable South Boston apartments and easy access to the city’s major highways and Boston’s bustling Financial District. What was once farmland that gave way to Boston’s booming industrial corridor during the Civil War, South Boston is now primarily a residential community that boasts historic homes, multi-unit properties, and newly built or refurbished South Boston apartments that feature modern amenities and are a short train ride from downtown convenience. 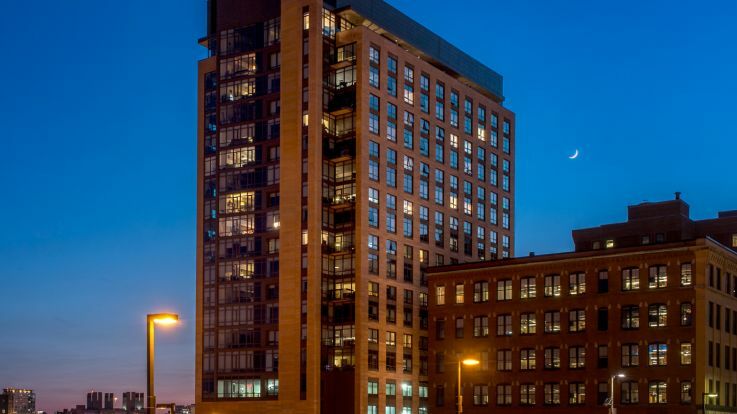 The neighborhood is home to the Boston Convention and Exhibition Center, miles of waterfront parks and beaches, numerous retailers, restaurants and industrial facilities that continue South Boston’s age-old tradition of technology and manufacturing. Public art has appeared near South Boston apartments and throughout the neighborhood over more recent years, from historic bronze sculptures to glass and ceramic mosaic pieces and modern stainless steel architecture, all of which honor the neighborhood’s history and pave the way into a strong future for the community. Thanks to the neighborhood’s continued innovation, as well as Southies’ dedicated efforts to further preserve the historic neighborhood, South Boston businesses have moved in and transformed the area from a gritty city peninsula to a tight-knit community full of Southie pride and area improvements. Southie pride is never stronger than in March during the neighborhood’s South Boston St. Patrick’s Day parade, an annual event that draws crowds from near and far and fills the local restaurants and pubs with camaraderie and friendly faces. Annual street festivals, farmers markets and holiday celebrations are an added bonus for those living in South Boston apartments, giving locals the chance to meet, mingle and strengthen their already tight-knit community bonds.